Edward Horsman began his doll import business in 1865—the same year the Civil War ended. When one realizes how much in the world has changed since then, it is affirming to know that good things indeed last more than one lifetime. What began as a company that brought German-made dolls and toys to this country changed when Edward Jr. joined the firm in 1905. He had an eye for design, and soon the company was producing American-made dolls unlike anything the old country ever created. Though there have been the ups and downs, relocations, transitions and changes in ownership that all long-standing companies experience, Horsman has stood the test of time and has once again re-invented itself to serve today’s doll enthusiasts and collectors. In 2006 Horsman Ltd. looked to the past for a new doll line that would offer a retro look, which created a “buzz” among adult collectors and the play world of younger doll lovers. Dorinda Balanecki, a self-made doll and fashion designer, brought the style and appeal of beloved 1950s dolls back to life in her stunning “Rini©” and friends doll line. 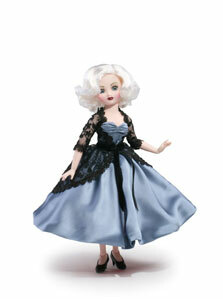 Rini reminds longtime collectors of “Dollikin,” a popular, highly poseable fashion doll of the mid-1950s. Rini dolls were soon in doll shops and flying off shelves to the delight of the designer/creator and the collectors who fell in love with the updated look incorporating the old-fashioned charm of dolls produced 50 years ago. Rini now has 19 points of articulation, an outfit for any occasion and wigs to make the possibilities of play and display endless. 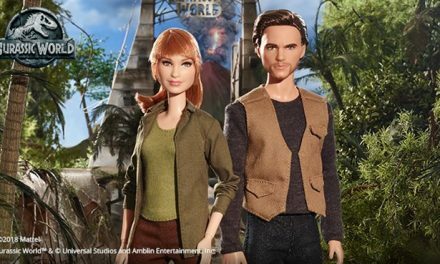 She is beyond poseable; she is feminine, fun and fashionable. She charms you the minute you lay eyes on her and beckons you to come play with her and her two new friends, “Rene,” an African-American doll, and “Yiu Mei,” an Asian doll. Every day offers a chance to take a journey into a world of fashion and fun. Dorinda took time from her mid-season debut deadlines to tell us more about her new sensation that keeps her busy every waking hour. DOLLS: Rini is gorgeous, nostalgic and modern—all in one fell swoop! What led you to create a doll such as Rini? Thank you! I sculpted all three of the dolls, whose looks were inspired by the 1950s dolls. I am very proud that I was so successful in capturing that look so well. We are asked all the time, “Is this a reproduction doll?” No! Rini and friends are completely new dolls, designed to resemble the vintage doll with a modern twist. Rini is the most poseable fashion doll in the world! Her uniquely engineered joints allow for more humanlike poses. Most other jointed fashion dolls have restricted posing due to the limitations in the way their joints are strung with elastic cords, which will not hold them in their pose. Rini is a mechanically ball-jointed doll (MBJD).As far back as I can remember I have been in love with dolls, and I still have many of my favorite childhood dolls. I remember unpacking boxes after moving to my first home and finding my beloved dolls. As I unpacked my stored treasures, I noticed my larger 1950s fashion dolls needed repair or replacement parts. I began making the parts for some of the vintage dolls, and before too long, I was getting requests from others to make an entire doll. It never occurred to me to find a manufacturer to make the replacement parts. I was too busy working in my kitchen, pouring resin into silicone molds that I had made. I had worked with Horsman on many projects in the past and was in partnership with them for a Halloween decoration I had created. One day I mentioned the doll parts and my attempts at making an entire doll. Next thing I knew I was sculpting and designing my own doll! DOLLS: You worked on other doll-related projects and doll fashion designs, but Rini became your first complete doll? My other designs consisted mainly of costumes for “ Barbie®.” I designed for the 2002 and 2004 National Barbie Doll convention dolls. I have also made several one-of-a-kind dolls that I donated to charitable causes, but I had never created or even thought of making a doll such as Rini before. DOLLS: As you worked on the sculpt and design of Rini, were there certain features that you knew Rini had to have? The multiple jointing was of major importance to me. We worked very hard on creating the jointing to the current 19 points of articulation, plus keeping the sweet, innocent look of the 1950s dolls.She is 13½ inches to 14½ inches tall, as her ankle joint allows her to be on point or stand flat. This also makes for a fabulous shoe wardrobe that any woman would envy! She is made of high quality vinyl and has saran hair. 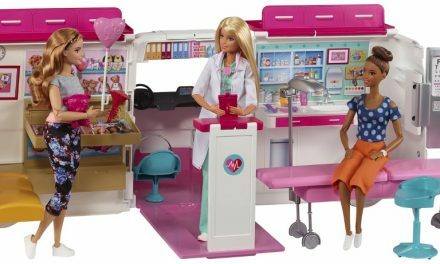 DOLLS: And you design and create her wardrobe, accessories, makeup and hairstyles, too? I have designed every stitch of every outfit. I make all the patterns, choose all the fabrics and hand-make the prototype outfits. We have even had several fabrics made especially for Rini and friends. I create Rini from head to toe. I hand-paint all the samples and create every hairstyle. I have mixed and created special dyes so her eyes are unique. I have final approval on her hairstyle, color and face paint. I am so very lucky to have a manufacturer that allows me to be so fussy. I have final say on all matters relating to design. DOLLS: Rini and her friends have sought-after features that have both collector and play doll value. What new ideas and plans do you have for them in the coming months? Rini’s friends are from other cultures and racial backgrounds. New for 2008 is “Rene Carnival” with a new skin tone not seen before, which will give her a Latin look. And this year Rini hit the bowling alley with her “striking” pink and blue outfit with matching shoes and a bowling ball she can actually hold. We plan on many more outfits that show off her active lifestyle. Due to their humanlike posing, Rini and her friends have amazing and endless design possibilities! I have more ideas than the time to create them! At the 2008 Doll & Teddy Bear EXPO in Washington, D.C., we will introduce our latest creation, a 16-inch, high fashion, MBJD line—The Urban. Though they will have the same precisely engineered joints as Rini, they will be model-like in stature. Another addition to our line, created by designer Melissa Windham, is a new, exciting and glamorous Rini, named “Rini-Elegance.” Plus we plan on introducing other head sculpts to bring a more contemporary line of dolls to collectors. DOLLS: Rini is a world traveler, shopper, ballerina and now she can be found as Tinker Bell too! Is there anything that Rini cannot do? Rini can do anything as long as it happened during the 1950s! We are very adamant about keeping her true to her roots. I have been a lifelong collector of Tinker Bell, and making Rini as Tinker Bell was like a dream come true. I like to have Rini doing all the activities I enjoyed or wanted to do. I have not had formal training in design, but I have always been very creative. I never dreamed of making dolls or making it a career, but when something as wonderful, fun and fulfilling as Rini appears in your mind’s eye, you just can’t pass that up! I am grateful to the owner and president of Horsman, Kenneth Young, for giving me this once-in-a-lifetime opportunity. It is so rewarding to turn my love of dolls into the creative passion I have today. For more information visit, www.rinidoll.com.